This listing is for a vintage Ralph Lauren Euro size square pillow sham in the colorful Galahad pattern. 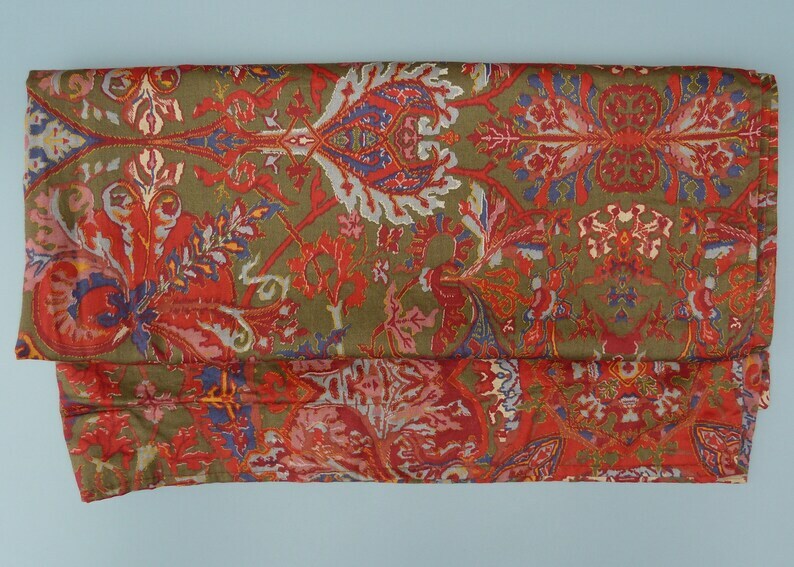 This popular retired pattern features a red, gold, and blue paisley design on an olive green background. The 100% cotton sham fits a square European size pillow and measures approximately 26 x 26 plus a 2" flanged ruffle. Clean with no tears, discoloration, or stains. The sham has the blue Ralph Lauren tag that says "made in Italy sewn in U.S.A.". Comes from smoke-free home. Shipping and handling price is for USPS Parcel Select Mail which includes Tracking. If you would like to have this item shipped to Canada or Europe, please convo me for pricing.